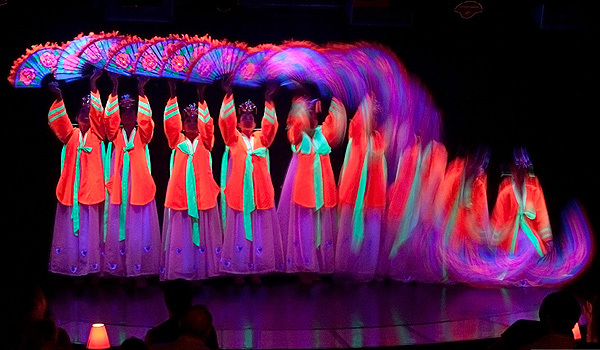 The nightly performances promise to thrill, excite and entertain patrons of all ages. Yes, this means you can bring the kids! 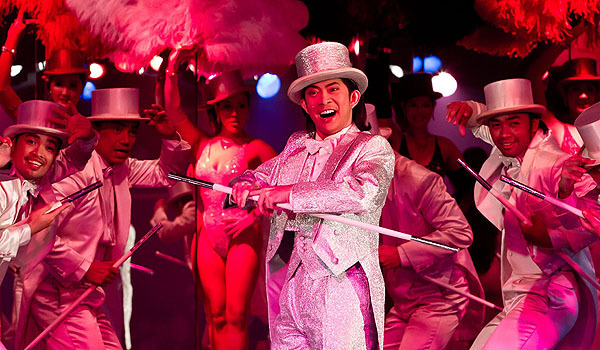 A night out at Calypso cabaret provides for a fun experience and a good break from Bangkok city sightseeing. Transgender artists or “ladyboys”, some of them so beautiful that it is easy to forget that they are not real girls, perform a Las Vegas style show with lots of glitz and glamour, hair pieces and ostrich feathers. Watch the ladyboys wearing beautiful gowns and costumes perform a series of acts and dances on a large stage. The stepped seating of the air conditioned theater allows everyone a good view of the stage. The red interior with small tables with lamps reminds of the Parisian cabarets of a previous era. 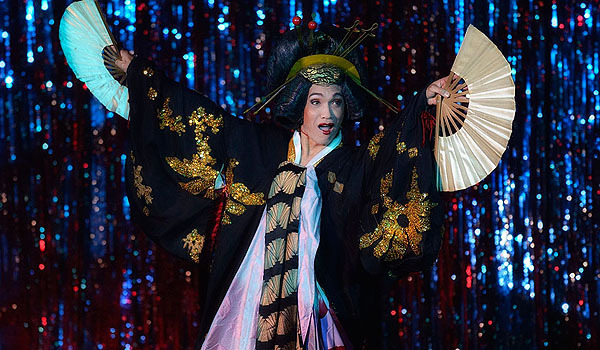 The show featuring 70 performers performing over a dozen acts takes about 1½ hours. 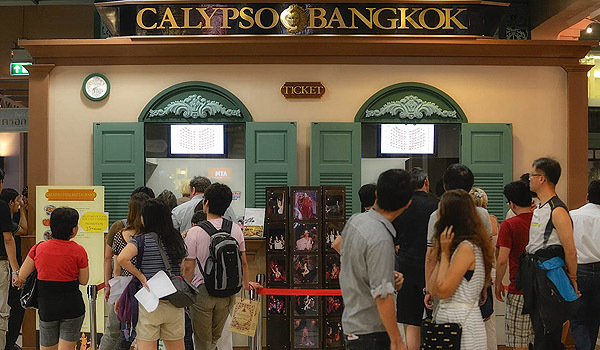 The Calypso theater is located at Asiatique, a riverside shopping, dining and entertainment complex easily accessible by Chao Phraya river boat. 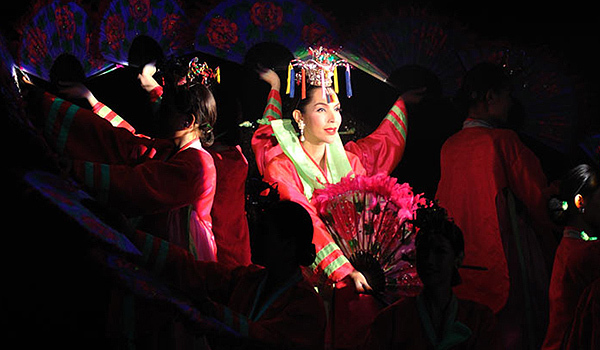 The acts are a good mix of drama, comedy, modern and traditional music. Some of them are designed to appeal to nationalities in the audience like the Chinese and Korean acts, while there is meaning in others, like the “Free your mind” act. Among the acts are “The King” Elvis Presley, a lovely Chinese ballad, a very energetic Beyoncé, Lady Gaga accompanied by violin music, the En Vogue song Free your mind, a Japanese song called Geisha, Marilyn Monroe, All that Jazz and Arirang, a Korean folk song with the performers wearing beautiful and colorful traditional Korean dresses. 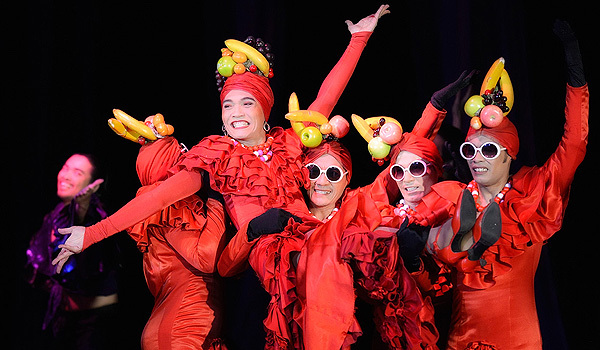 The show ends with the Grand Finale, where all performers appear on stage in gowns and tails. After the show the performers line up near the exit where you can take your photo with them and give a tip if you want. For children 4-12 years old whose height must not exceed 120 cms we charge 70% of the price that calculate from a total number of adult pax. For children over 13 years we charge normal price.